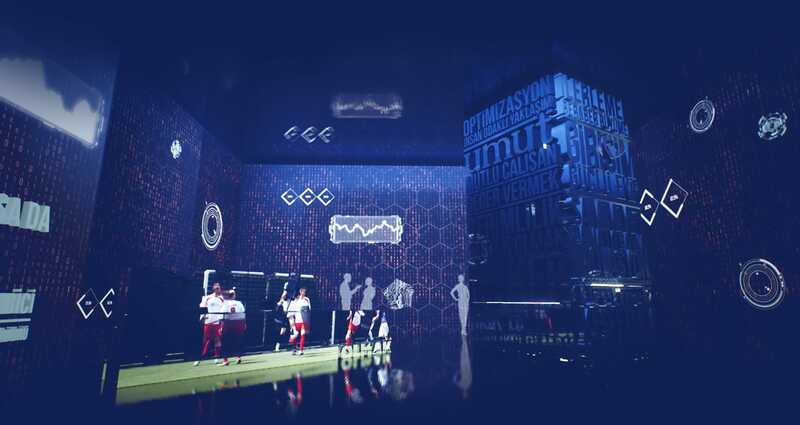 A virtual reality museum which tells the story of Turkish Economy Bank from its foundation to future vision at their 90th anniversary. The project which brings together evolution of Turkish Economy Bank, its contribution to Turksih economy, society and sport, its products and important steps with the audience arouse with its authentic content and voiceovers performed by Nejat İşler and Erdal Beşikçioğlu. For moodboars created for design of the 5 rooms which represents every 5 era in themselves and the entrance which includes all the rooms. Starting off from the reference images user expereience maps created, visual materials positioned and architectural environment designed. The exhibiton curated with Bahar Korcan and her team. A narrative was created and all the visual and textual materials which will be exhibited at the exhibition chronologically segmented. For modelling 5 different rooms and enntrance which include different audiovisual objects, low poly object modelling works executed to create a pre-eminent user experience and increace project performance. Low poly modelling works animated with a game engine to create a pre-eminent, 15 minutes long user user experience. This method created a higher and much enduring performance. Beside visual materials, the most important and the most affecting part of the epxerience, sound design works executed. 5 sound compositions created to reflect the atmosphere of 5 different eras and adapted to 360 degree environment. Perspective 90 Visual Reity Project experienced by the audience with VR headsets, gamepads and wireless earbuds. The audince had the ability to walk inside of the museum, visit each room they desire and get audiovisual information. This extraordinary experience received appreciation of the audience during Uludag Economy Summit 2017.